At just under five feet tall, Virginia Prodan was no match for the towering 6’10” gun-wielding assassin the Romanian government sent to her office to take her life. It was not the first time her life had been threatened—nor would it be the last. As a young attorney under Nicolae Ceauscescu’s vicious communist regime, Virginia had spent her entire life searching for the truth. When she finally found it in the pages of the most forbidden book in all of Romania, Virginia accepted then divine call to defend fellow followers of Christ against unjust persecution in an otherwise ungodly land. For this act of treason, she was kidnapped, beaten, tortured, placed under house arrest, and came within seconds of being executed under the orders of Ceausescu himself. How Virginia managed not only to elude her enemies time and again, but helped expose the appalling secret that would ultimately lead to the demise of Ceauscescu’s evil empire is one of the most extraordinary stories ever told. A must-read for all generations, Saving My Assassin is the unforgettable account of one woman’s search for truth, her defiance in the face of sheer evil, and a surprise encounter that proves without a shadow of a doubt that nothing is impossible with God. After hearing Virginia Prodan speak at the Summit conference in Colo. Springs last week giving her most amazing, riveting story, I immediately bought her book which she graciously signed. Well, I haven't put that book down because I am in total awe how God has used her mightily to bring others to Christ in spite of the many hard trials she has endured. She is Daniel in the lions den. She is Shadrach, Meschach and Abednego refusing to bow down to a golden statue. She is a Corrie tenboom boldly rejoicing in the face of terror. She is a Godly, humble woman being used by God Almighty in this present age. Thank you Virginia for voicing to thousands of the hope there is today in such an awesome God! This is one of the absolute best non-fiction reads this year! When you think of communism, you think of Russia or North Korea or East Germany. I just never thought of Romania. Virginia points out so many hurtful things about communism, and these things are in such stark contrast to how wonderful we have it here in America. She says, "I should be dead. Buried in an unmarked grave in Romania. Obviously I'm not. God had other plans." Then she tells you all about her childhood; how she was left at home at the tender age of six years while her family went to visit a favored aunt. There is something entirely wonderful about that aunt, but I won't tell you. I'll let you find that out on your own. Amazing things happen to Virginia, and she gives God all the glory for each one. In her story, she tells you exactly how God touches lives in the most treacherous places. The story is gripping, uplifting, engrossing, and enlightening. Well worth every penny you spend on it. It's definitely a keeper. It is a super read for all ages, but I think teens would be enthralled to read and discuss this book as a group. In our society, Christianity is is easy. This book shows how hard it can be in other societies. It would be an excellent challenge for teens to hold fast to their faith. I am so glad I got this book from Netgalley in exchange for a fair and honest review. "Saving My Assassin is captivating and you won’t be able to put it down. Virginia Prodan has written an incredible book that every American will want to read. It’s rare to find a book so well written, and so emotionally powerful, and yet teaching wonderful lessons about freedom and courage and the great moral principles to which we all need to aspire. This is a must read." This was an inspiring page-turner of the great spiritual strength and moral courage of one mighty woman. It made me thankful for all the Bible verses I was forced to memorize in my youth--you never know when you will need them! I hope to see this made into a movie in the near future so even more will be inspired by Virginia Prodan's story." 5.0 out of 5 stars Review Gripping, inspiring By Tyler Wilson on May 26, 2016 "Saving My Assassin" by Virginia Prodan is an incredible story of her defense of the Gospel under the harsh persecution of Romanian dictator Nicolae Ceaușescu in the 1980s. Her account is akin to Paul under Nero, and this book is an inspiring and motivating account of her fearless and relentless stand for Christ. I read the whole book in one day, and I highly recommend it! "I have listened raptly many times to my friend Virginia Prodan tell bits and pieces of her life’s journey from the repression of Communist Romania to the liberty of America. It’s an extraordinary, harrowing and uplifting story. I’m thrilled she has put the entire story together in “Saving My Assassin”. Beyond creating a compelling read, she offers readers a potent affirmation of the power of unwavering faith, and a standard for the kind of bravery needed in the world today to face down the many forms of tyranny plaguing freedom-loving people around the world." former legislator and author of Constitution Alive! "Liberty and Freedom are words that have lost some context in our American culture today. Virginia Prodan's life story encourages people to stand up for truth and their beliefs, despite the adversity and the cost. A must read for all as a reminder that freedom comes with a cost." "Intriguing and life-changing! Saving My Assassin is story of faith and courage that will open your eyes to the real and widespread persecution Christians face around the world. It chronicles the life-journey of attorney Virginia Prodan as she bravely fought against the anti-Christian government system in Romania and now in her adopted country, America. Although it reads like a novel, it is a true account of her fascinating and risky work. 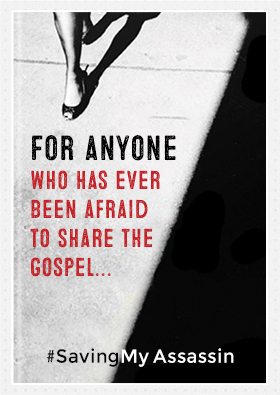 Reading her story will encourage you to stand firm in your faith and live boldly for Christ." 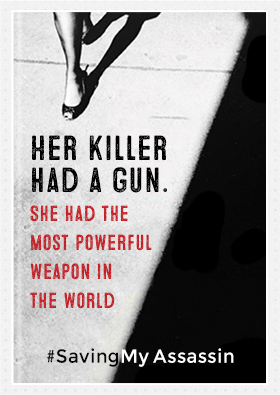 "Virginia Prodan’s electrifying true story - Saving My Assassin - reads like a well-crafted novel, but burns with the power only truth can convey – and in a very personal way. America is not Ceaușescu’s Romania, but too many of our countrymen treat liberty casually, and some have traded their liberties for a mess of pottage. May God use Virginia’s story to stir Americans to take a stand for the liberty so many of our fathers, mothers, brothers and sisters have died to preserve." "Saving My Assassin is a riveting true story of a young woman standing for Christ in a government that would rather have her dead. It’s not only entertaining, but Virginia’s story provides the kind of inspiration and example that you may need as our world continues to darken." "Reading Virginia Prodan’s Saving My Assassin inspires faithful Christian witness in the face of systems of government and structures of power with real-life inspiration for intensifying obedience to our Lord Christ in today's public spaces. The One who transcends history and geography, controls politics and economics, and creates all peoples and nations will provide courage for us to persevere in spite of potential defeats to providential victories." "Only someone who has experienced the tyranny and oppression of Communism can fully embrace the liberating joy of Democracy. Virginia Prodan knows such joy and lives it out daily. As an international human rights attorney, Virginia has become a consummate freedom fighter. Hers is the inspiring story of escaping Communist Romania, being granted political asylum by the United States, becoming an American citizen, and now advocating for immigrants who desire to come to the United States legally. I am humbled to be Virginia's friend and honored to be her pastor. Not only is her story riveting, but her dramatic and graphic writing style will capture your mind and heart and will not let you go. Just wait, from the introduction on, you’ll be hooked." "Saving My Assassin will grab your heart from the very start and pull you from a dark pit of hellish discouragement to the lofty ramparts of a hope fulfilled. This book is a lightning bolt of truth that sends out a thunderclap warning for all today. Not defeated by raw fear nor circumstances unimaginable this brave woman survived it all to find her name forever etched in the halls of heroic accomplishment. A must read that will defiantly inspire all that takes this incredible journey." 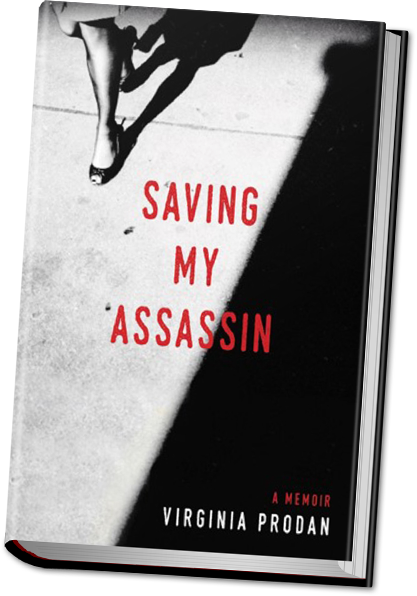 "Saving My Assassin is the inspirational read of 2016, studded with invaluable life lessons of faith and resilience garnered on Virginia Prodan’s incredible, historic journey. Virginia sounds the clarion call for Christians today everywhere! A terrific page turner." 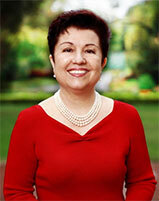 Virginia Prodan is a Victory Coach – Speaker – Author with Tyndale House Publishers. An international human rights attorney, an Allied Attorney with the Alliance Defending Freedom. Virginia had literally faced her assassin and have lived to tell about it. You will be inspired by her confidence and courage in the Lord; by her desire to share God’s love with anyone. She had shared it with the man who was hired to kill her. She is passionate about mentoring others who want to stand up to their giants and create a courageous, purpose-filled, and abundant life. For this act of treason, she was kidnapped, beaten, tortured, placed under house arrest, and came within seconds of being executed under the orders of Ceausescu himself. 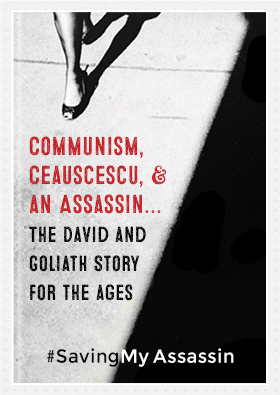 How Virginia not only managed to defeat her enemies time and again, but helped expose the appalling secret that would lead to the demise of Ceausescu’s evil empire is one of the most extraordinary stories ever told. Virginia Prodan’s compelling story of courage in the face of intimidation and even death on behalf of others is a testament to her unwavering faith in a God who delivers. Exiled from Romania since 1988, Virginia frequently shares her story as a keynote speaker in large public forums—including public and private schools and universities—and has been featured prominently in media reports. She was the focus of a full-length documentary and has been interviewed by Fox News, Heritage Foundation, BBC Radio, CBN; LifeWay – Chat with Priscilla; The NITE line; The Daily Signal, WFAA-TV Channel 8, Dallas Morning News, Point of View, Heritage Action for America, Glenn Beck, KCBI 90.9, Point of View, Family Life – Dr. Jim Dobson. Virginia is a sought-after international speaker. As the key note speaker, Virginia spoke to large audiences and on special events at Family Research Council, Washington, DC; Christian Legal Fellowship, Vancouver, Canada; Summit Ministries, Colorado Springs, Georgetown University, etc. Virginia also published articles in Christian Post; the Christian Science Monitor; Focus on the Family – Citizen Magazine; Christianity Today; The Daily Signal; American Thinker, etc. Virginia inspires! Virginia currently resides in Dallas, TX, where she enjoys practicing law, writing, opera, swimming, the symphony, and traveling for pleasure. She has two daughters, Anca and Andreea, and a son, Emanuel. She also enjoys her numerous speaking engagements, where she continues to inspire and impact lives with her incredible true-life story. Visit her at VirginiaProdanBooks.com, Twitter, Facebook, Instagram, and LinkedIn. To schedule me for an event, please fill in this form or contact Donna at virginia@virginiaprodanbooks.com.